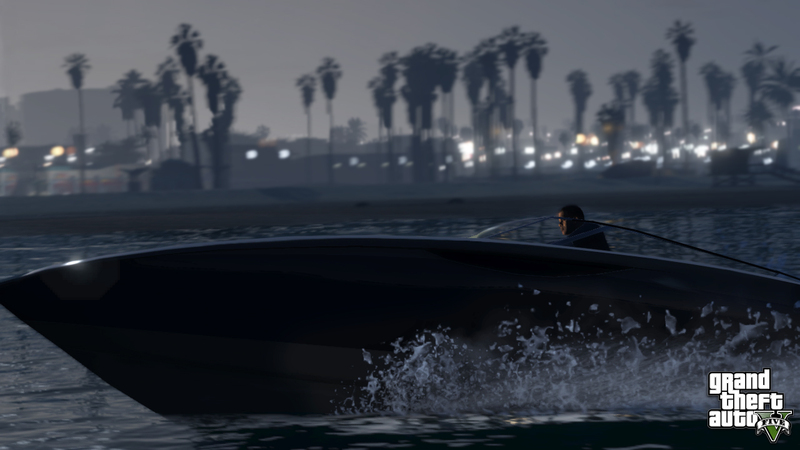 While being in a Crew isn't a necessity for Heists, communication and coordination are key to maximize pulling off a successful Heist with your jewels intact. So round up your best Crewmates and put that planning board in your luxury apartment to good use. 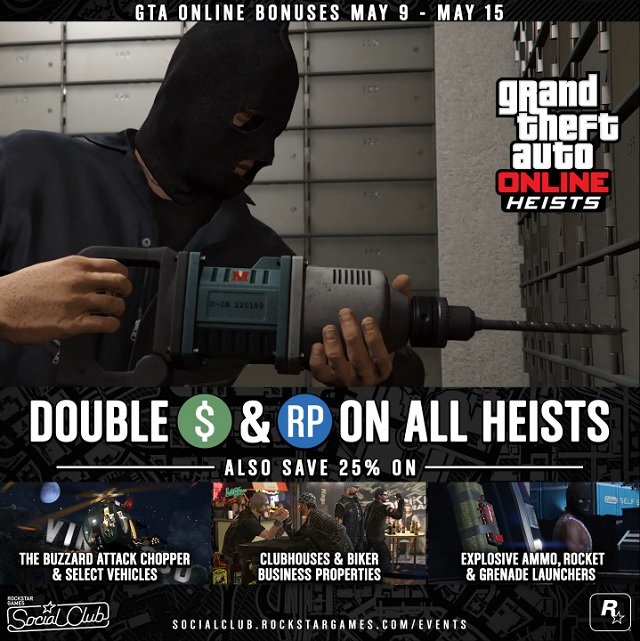 Don't forget to take full advantage of all the other discounts and bonuses currently active in GTA Online, from Double GTA$ & RP on Biker Contract Missions to bonus payouts on Special Cargo Deliveries, 25% off select Vehicles and more. Get the full rundown at the Social Club Events Page. This week's Premium Special Vehicle Race is "Beach Party" - locked to the Blazer Aqua. Launch Premium Races through the Quick Job App on your in-game phone or via the yellow corona at Legion Square for a shot at big GTA$ payouts awarded to the top three finishers, and get Triple RP just for participating. "Raton Canyon" is this week's Time Trial. Set a Waypoint to the marker on your map and enter via the purple corona. Beat par time to earn a sizable GTA$ & RP reward. Double GTA$ & RP for Heists This Week - Heists are now worth twice the rewards this week in GTA Online!